Father’s Day will be here June 21st and now is the time to start preparing the perfect gift for dad. 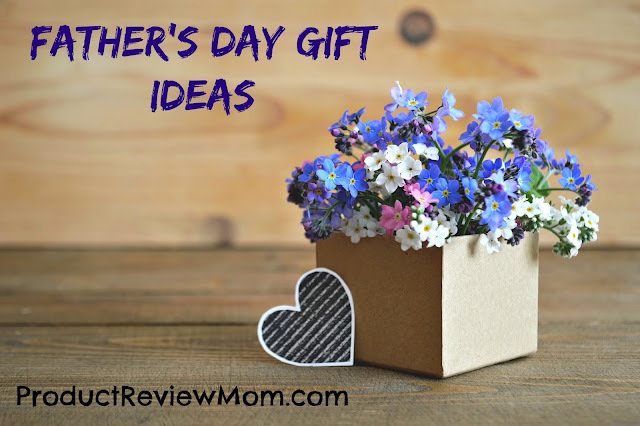 Today, I am sharing some of the Father’s Day gift ideas that any dad is sure to love regardless of their age. If your dad works a desk job or spends a lot of time on the computer, consider getting him a wireless mouse. During this day in age, wireless mouse’s are far from being boring. For example, you could go with a Dolphin Mouse, which is sure to make using his computer anything but bland. Many of the unique wireless mouse’s are available for fewer than $20, which allows you to keep both dad and your wallet happy. If your dad is like most dads, he loves fixing stuff around the house. How about this Father’s Day you make things a little easier for him by purchasing an Electronic Measuring Tape, so he can rest assured that his measurements are always accurate. Usually, you can find a good quality tape measure available for between $30-$50 and you can be guaranteed that dad is going to put it to good use. When shopping for dad you want to make sure that you purchase something that he is really going to use. If your dad is always misplacing his keys, a Magnetic Light Switch Cover is necessary. Dad can easily install the cover and once installed he can keep his keys on the light switch to ensure that he always knows where they are when it is time to go. Never worry about having to drive over on your way to work to have to help him locate his keys again. Has your dad been nagging your mom to allow him to turn the garage into a man cave and she finally agreed? If so, help him spruce up his new space with a pool table. After a long day of work, he can relax with some friends and shoot a game of pool to unwind. Who knows, he may even invite you and your mom in to test out the new gift. With a pool table, you can be sure that your dad will be smiling from ear to ear once he unwraps the huge box. These are just some of the Father’s Day gift ideas. You don’t have to spend a ton of money buying fancy gifts though. Just spending time with your dad will make his day. What do you have planned for Father’s Day for your dad? The electronic tape measurer sounds interesting! I'm off to check it out. Yeah, seems like everything is becoming digital now.